Trends in education, best practices, Blackboard news and events. We're proud to announce that Blackboard Learn, has achieved certification for IMS Global Learning Consortium's Learning Tools Interoperability® (LTI®) Advantage standard. The new standard will be available in upcoming releases for all Learn clients, across the different deployment types and user experiences. Blackboard is among the first edtech companies to meet the rigorous IMS certification requirements for all components of LTI Advantage. Galileo Global Education, a leading international provider of higher education and Europe's largest higher education group, will roll out Blackboard Learn with the Ultra experience as the common Learning Management System (LMS) for its network of 37 schools with 80 campuses across 10 countries. Blackboard Learn Ultra was selected over other cloud-based solutions for the ease of use, the powerful features, and the unparalleled level of support provided by Blackboard. Join us in Singapore, Hong Kong, Japan and Philippines this March! Registration is now open for March cities and #BbDLDays kicks off in Singapore and Hong Kong on 5th March and 7th March! Join us as we deliver the latest updates in innovations from our teaching & learning portfolio, see where we're at with our SaaS momentum globally, and hear all about the exciting new developments in Ultra. We're excited to be a Gold Sponsor for the SoTEL Symposium in 2019! The main aim of this event is to encourage passionate education practitioners from Higher Education, Schools and the education community to showcase the results of their work promoting Technology Enhanced Learning in student learning environments. This symposium will provide a showcase for both the beginner and expert practitioner to inform and enlighten colleagues and peers of the outcomes of TEL. Showcasing and sharing knowledge, skills, innovations and results from evidence-based practice, collaboration and co-operation will definitely be encouraged and supported. 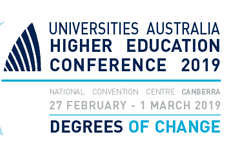 Blackboard is looking forward to exhibiting at the Universities Australia Higher Education Conference later this month. This annual event that takes place in Canberra, and will be a great opportunity for all delegates to get inspired by an impressive program of speakers from within Australia and across the globe. 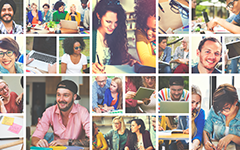 Blackboard is partnering with Akari Curriculum Software for this event and we will be demonstrating how our partnership can help institutions improve outcomes, enhance employability and ensure pathways to success. For Mapúa University and Malayan Colleges Mindanao, STEMTeach has been a dream community project exploring partnership with government and the private senior high schools. Using Blackboard, this university and its sister colleges have realised a program that empowers faculty to take education to the next level. Join them for this webinar to learn about this inspiring implementation and its effects. With Open LMS 3.5 MP1, Snap now supports "expected completed date" on activities for the “deadlines” section on the personal menu. This is especially useful to show forum activities in the deadlines section. Drift subscription is out of Beta status and is now pre-enabled for all sited administrators! Site administrators have the option to receive notifications about important news and updates directly from within Open LMS. You can still manage your subscription preferences on User profile -> Miscellaneous -> Drift subscription. Template-based courses restored via conduit now support activity dates offset. The instructor feedback for other accessibility issues will just show the content preview without highlights. This feature should make it significantly easier to identify issues in a document, and should help cut down remediation time dramatically. Griffith University, a leading higher education institution recognised across Australia and the Asia-Pacific region for its innovation and research, has transitioned its Blackboard virtual learning environment (VLE) to a Software as a Service (SaaS) delivery model. This deployment removes the complexities of running or updating the University’s software and infrastructure and provides Griffith University with several enhancements, including reduced costs of change management processes, zero downtime updates and quicker delivery of new features. Developed jointly by Singapore’s five polytechnics, PolyMall is a one-stop portal to access online learning content across multiple sectors and disciplines. In PolyMall, students are able to access high-quality learning resources at their fingertips for an engaging online learning experience. PolyMall provides a common platform for the five polytechnics to share online learning packages among both students and staff. Kaltura’s Vice President of Global Strategy and Business Development, Jeff Rubenstein, discusses the big trends and advancements hitting education with our new white paper, “5 Predictions for the Future of Education in 2019.” Download your copy of these predictions. Get the new year off on the right foot! Would you like to submit your stories or suggestions for our next edition? Please send your comments to Asia@blackboard.com or Anz@blackboard.com. Have a colleague that might be interested in this newsletter? Ask them to subscribe to our mailing list here. What do you think of this email? This message was sent to kathie.ardzejewska@nd.edu.au by Blackboard.